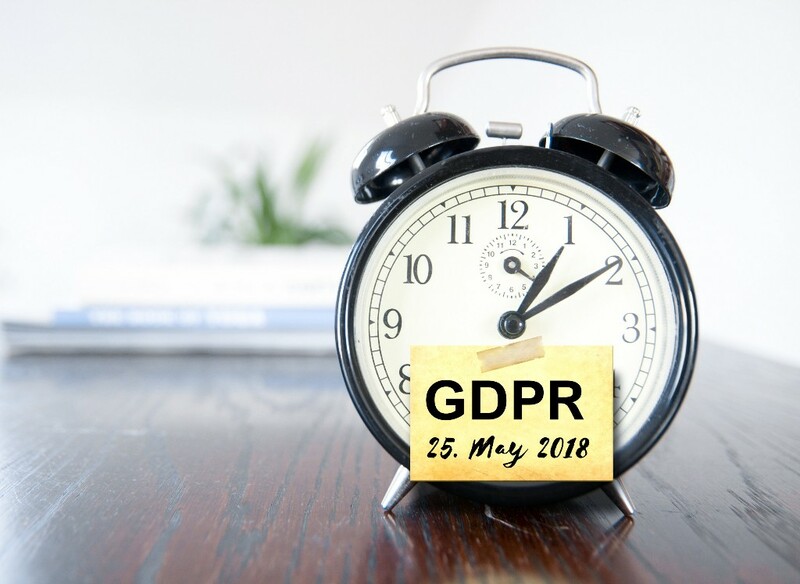 Does your Club need help managing GDPR? 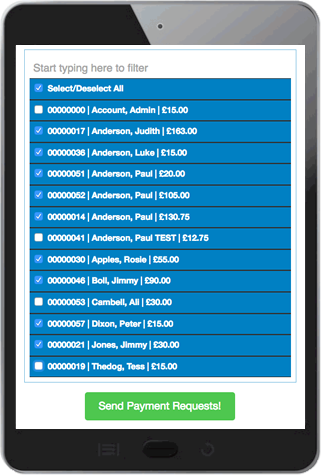 Communicate simply from one database where users have consented to your communication. All from as little as 2p per player! Combining automatic subs collection with automatic subs reconciliation means lots more subs collected and lots less time wasted! Add payments to that, and you have a powerful tool to make life so much easier. Instantly see which members owe money. Choose which members you want to chase. 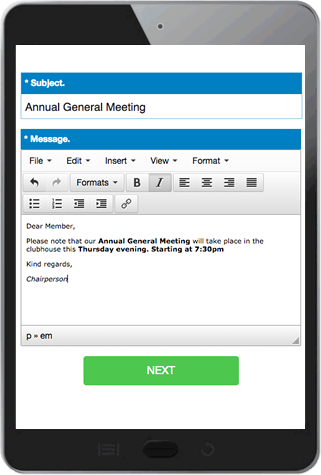 One central database allows everyone to email key contacts, teams and even the whole club! Quickly and easily create messages. 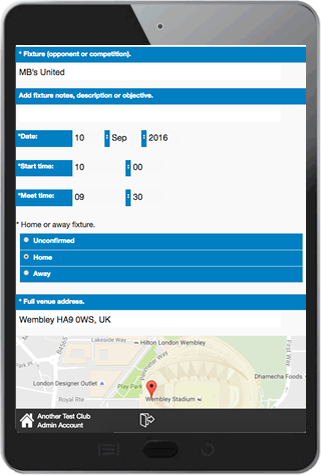 Create fixtures for your teams, include location maps, send a copy to the opposition and official, plus see member availability. Easily manage your club policies and keep track of who has agreed to them. 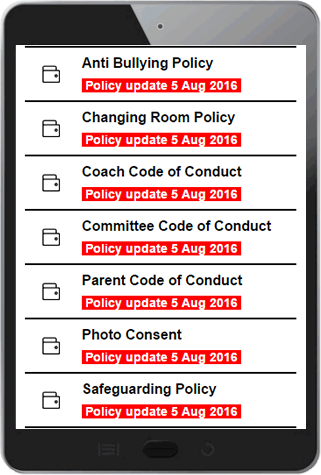 Visually report on the status of your coaches and volunteers' certificates. Simple on-line forms to help players and coaches develop. 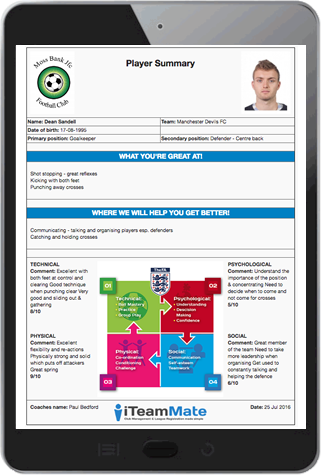 Create simple and advanced player assessments. Print them out or send via email. Help the coaches in your club develop too. 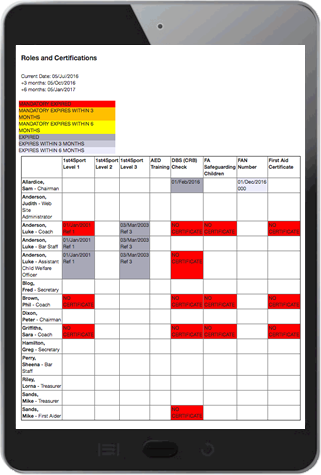 Create coach development records including self-assessment. Simple tools to help you build your club and other tools to boost new players, events and volunteers. "Before we started using iTeamMate, collecting subs was a paper excercise and a bit of a nightmare. iTeamMate has made all the difference. 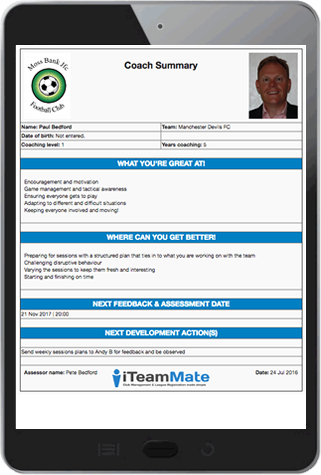 We can register players easily and keep a check on coaches certificates"
"Collecting Subscriptions and tracking information about club members was a nightmare, until I started using iTeamMate. Very user friendly and easy to understand system. 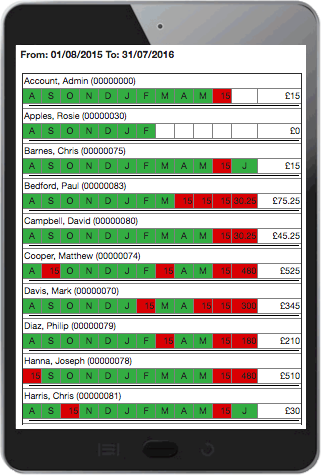 At a glance you can see who owes you what and also check clubs members details, which they can amend all on their own. Great idea and will be the next big thing." Mike Buckley, Secretary Bradshaw Cricket Club. "We've been crying out for something like this for a few years now as we have grown so much; the challenges just seem to get bigger every year. iTeamMate has helped us get things back under control and helped us all save so much time its been a Godsend!"